I have just loved the Pushkin Vertigo books I've read so far, enough to where I've preordered every single book with this imprint that I don't already have. One I had to go to the UK to buy (not physically, obviously), but I'm good through December of this year. I hope this imprint goes on for a very, very long time -- much like my favorite press Valancourt Books, PV is bringing back some old vintage crime stories that have either been long forgotten or frankly, novels which I've never heard of. The crime novels by Italian author Augusto de Angelis are a great example of a series I didn't even know existed; I've read two now and really, really, really want to read more. The Murdered Banker and The Hotel of Three Roses both absolutely hit the spot while sitting out on my hotel balcony last week during my vacation. Written in the 1930s, the mysteries in these books for me are highly satisfying, but they are also notable for their explorations of human nature. 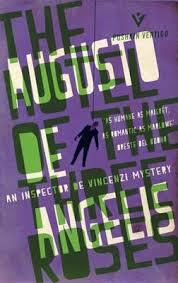 In the first one de Angelis introduces his main character, Police Inspector Carlo DeVincenzi, Commissioner of Public Safety in Milan, whose raison d’être as a police officer is "an interest in human justice." 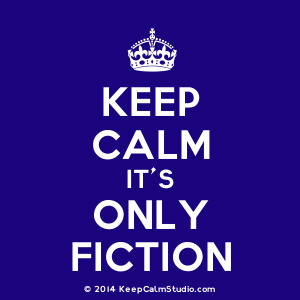 However, de Vincenzi often finds it difficult to solve his cases because of reluctant witnesses who may tell a part of what they know, but for their own reasons tend to hold back on information that would actually allow DeVincenzi to do his job in a timely manner. In the two I've read, de Angelis has characters who have been heavily burdened with secrets; his people run the gamut from starving artist to wealthy financiers, each with his or her own conflicts, desires, weaknesses and strengths, which if not actually having some bearing on the solution of the crimes, still offer a picture of what made people tick at a certain time in a certain place. "...above all, there's an interest in human justice, which I believe in and which I must uphold..."
Any time a mystery novel opens in the fog, I do a little happy dance since I know that what's coming is going to be hazy, murky, and a bit of a challenge in terms of seeing things clearly. This is definitely the case in The Murdered Banker, where a "bituminous lake of fog" has settled on Milan, making it nearly impossible to see anything. The opening scene captures two men "moving across the piazza," as "ghostlike shadows." As it turns out, one of these men is the main character Inspector Carlo de Vincenzi, who is heading into the station just after midnight. After a while de Vincenzi settles in to read his book, Lawrence's The Plumed Serpent (not Pirandello, as someone else guessed). While inwardly musing about why he's a cop, and why he'd become the Commissioner for Public Saftety, he is joined some time later, about 1:30 a.m., by his friend and former classmate Gianetto Aurigi, who has just come in after a night at La Scala seeing Verdi's Aida. He had watched the opera in the box belonging to Count Marchionni and his family; Marchionni is Aurigi's future father-in-law, as he is engaged to his daughter Maria Giovanna. He claims he's been walking around since and that his wandering had brought him to the station to see the inspector. But soon he opens up with his financial troubles, revealing that he needs "half a million" -- it seems that he owes this sum to someone, and that it is due that very day. He can't tell Marchionni without facing the prospect of losing his bride-to-be. While they are talking, the phone rings, calling de Vincenzi to a crime scene. After he hangs up, the inspector instructs Aurigi to remain at the station and leaves an officer to ensure that Aurigi doesn't leave. The reason is not that the inspector wants to continue the conversation when he returns, but that the crime he's been called out to just happens to have occurred in Aurigi's apartment. As he begins his investigation, it all adds up to Aurigi as chief suspect, but through his "intuition and psychological impressions" the Inspector knows that he's the wrong guy. As other suspects are brought into the case, each with his or her own secrets, de Vincenzi realizes that if he doesn't get to the truth of the matter, the innocent may be caught up in the "machine that will grind them up." His mission -- to save the innocent, and to bring the guilty to justice. De Vincenzi believes that a crime, when "not a crime of passion," is "a work of art! A work perversely and criminally artistic," and it's obvious to me that De Augusto's writing reflects this idea. 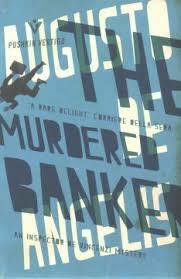 At the same time, it's not so artistic that the whodunit element gets lost -- The Murdered Banker is a solid mystery story that is not only enjoyable, but also very well laid out in terms of buried secrets that could easily serve as motive, creating a group of possible suspects whom de Vincenzi must eliminate one by one to solve the crime. He takes his time getting there, but that also is part of the author's craft -- creating the reluctant witness who doesn't want those secrets to come out at any cost. By the time the actual culprit is discovered, it's a rather eye-opening moment, something I look forward to in any mystery novel. Here it's done right, and done well, although sometimes the writing itself can be a bit overdone, but a) it's the first in a series which is often touchy, and b) the crime and the investigation are both so well plotted that it's forgivable. "because I am perhaps a poet, ... I feel the poetry of this profession of mine, the poetry of this dusty grey room, of this shabby old table, of the poor old stove, whose every joint suffers in order to keep me warm. And the poetry of the telephone! The poetry of the nights of waiting, with the fog in the piazza coming right up into the courtyard of this old convent -- now home to the police station, housing criminals in place of saints! Of nights in which nothing and everything happens, because in this huge, sleeping city, even as we speak, there are infinite dramas, even if they're not all bloody. Actually, the worst ones don't end in shooting or with a knife." He has this ability to size up situations and people, and often sets things up like a stage director, moving his characters here and there, putting different people together to see what happens, etc. etc. until conditions are just right for him to see everything -- you know, that moment when the fog lifts and things are visible once more. It is a fine start to a series that so far I am really enjoying. we come to The Hotel of the Three Roses, the blurb of which promises a "chilling gothic mystery" and "bloody drama." It is an example of one of my favorite sorts of mystery tales in which a tragic, horrific past comes flying back full throttle into the present, and oh, what a chilling tale there is to tell here. "...A horrible drama is brewing, one that will blow up if the police don't intervene in time...the devil is grinning from every corner of that house." "His adversary was the sort who never misses a chance, and never loses." However, as in The Murdered Banker, he is again confronted by a hotel filled with suspects, each of whom is reticent to share his or her secrets. "What's done is done, unfortunately. The dead don't come back. But human justice does exist, and it must act to defend society." Much of this novel is based on the idea of justice -- maybe not in the way that De Vincenzi thinks about it, but justice all the same. Sadly, I can't really say how this is so, because I don't want to spoil anything for the next reader. This book was extremely satisfying for me in terms of the mystery itself, the variety of characters and especially in terms of the process of crime solving. Again -- often a little overblown writing-wise here and there, but as with The Murdered Banker, the mystery is intense and good enough that the writing just isn't that much of an issue. I am growing rather fond of the Inspector, so I hope that Pushkin Vertigo continues the series and that more of de Angelis' books continue to be translated for eager readers like myself who love vintage crime. both books are definitely recommended! !